Home / Blog / Considering vinyl siding? Here are four things to consider first. 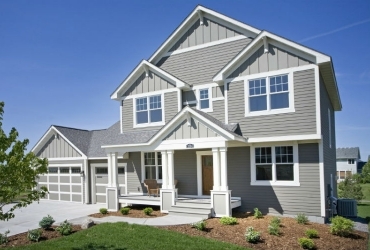 Vinyl siding is the most common siding option in America, and there are reasons for that. It’s cheap, quick to install, and fairly low-maintenance overall. But vinyl, for all its ubiquity, isn’t necessarily all it’s cracked up to be. If you are thinking about installing vinyl siding on your home, here are four things you should think about before taking the leap. 1. Vinyl siding doesn’t last forever. A brick home stays brick for as long as it stays standing. The same goes for a home with fiber cement siding or high-quality wood. Vinyl? Not so much. Most vinyl has a lifespan of around 20 years. If you decide to sell your home after only ten, that siding has already turned from a selling point into a liability. And if you decide that this is your forever home (or a home you’d like to rent out or pass on to your children), you’re looking at replacing your siding yourself, possibly multiple times. This also doesn’t include damage. One good hailstorm is all it takes to severely damage your home’s siding. And since vinyl becomes brittle at colder temperatures, it only takes one accidental bump with a snowblower to cause significant cracking, and attempting winter repairs may only increase the scope of the problem. Unless you’re willing to put up with unsightly patches, you’ll need to replace the entire length of siding for each crack or hole, creating more waste and effort if you want to maintain your home’s kept-up appearance. 2. Vinyl siding is less safe in an emergency. We think about wood as being unsafe in the event of a fire, but vinyl is problematic as well. Vinyl can burn and even melt in the event of a house fire, increasing the risk not only to your home and the people inside it, but also to the neighborhood. This is one of the reasons that wildfire-prone areas encourage stone, brick, or fiber cement siding instead of wood or vinyl. Even in areas where wildfires are not an everyday occurrence, many insurance companies offer discounts for homes with safer exteriors. Even if you’re not in a fire-prone area, high winds can cause vinyl siding to warp and come loose. It’s definitely not the best siding option in the event of a hurricane or other major storm. 3. The look of vinyl siding isn’t great. Part of the appeal of vinyl over wood is that it doesn’t have to be painted. You pick a color, install it, and there you go. Unfortunately, this is also a drawback. 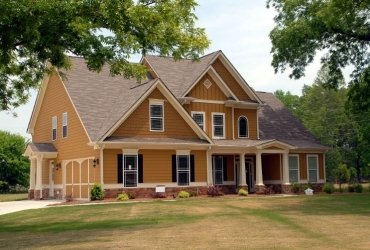 Once you’ve installed your vinyl siding, you’re stuck with it. There’s no chance to repaint if the color you’ve chosen becomes unfashionable (which can make your home harder to sell) or you simply get tired of it. What’s more, the color doesn’t last. In the South, where the summer sunshine can be intense, the color of vinyl siding fades over time. Worse, it fades unevenly, with shaded areas maintaining their color for longer than exposed areas. This can lead to patchy, uneven color, about which there’s nothing that can be done aside from replacing it from top to bottom with new siding. And of course, there’s the fact that cheaper vinyl siding just isn’t terribly attractive. Many historic districts and homeowners associations don’t allow it, simply due to issues of curb appeal. 4. Vinyl siding doesn’t offer much protection. 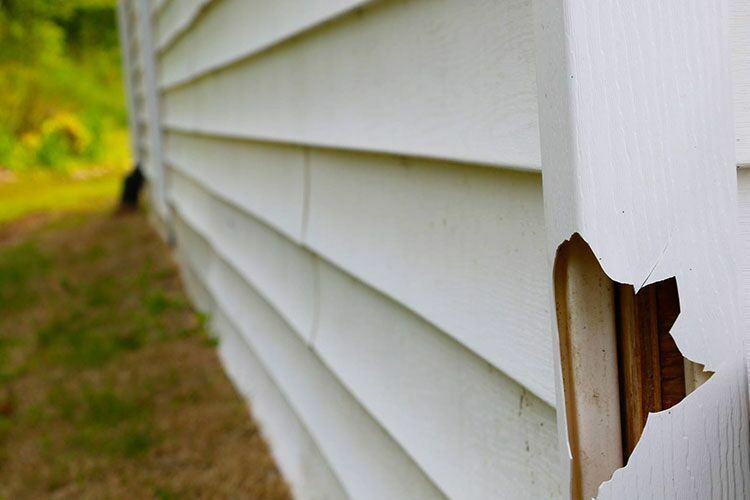 Vinyl siding repels water, but it’s not impervious. If it isn’t installed properly (or becomes damaged over time), it can cause water to catch between the siding and your home, causing rot and other forms of water damage. It also contributes little in the way of insulation the way a thicker option like brick will. Out of all the home siding options, vinyl is the thinnest, offering little more than the appearance of a protective layer between your home and the elements. 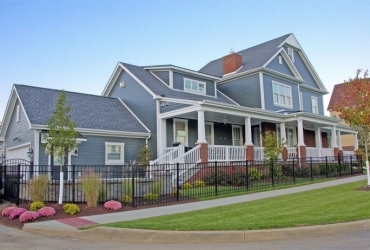 Want to know more about other siding options that are both beautiful and long-lasting? Let us know and we’ll get back to you to arrange for a free quote and consultation. Not sure what you’re looking for yet? Not a problem. That’s exactly why we’re here.